Lyme diseases is a growing threat in Southern Maine. And it is a threat that doesn't just affect people. Dogs are getting it too. While Lyme is not as serious for canines as it is for humans, it can lead to lifelong health complications due to inflammation and neurological illness. Symptoms include lameness, discomfort when lying or sitting, stiffness when walking, difficulty breathing, sensitivity to being touched, lack of appetite, and general tiredness. In rare cases, dogs may also develop heart abnormalities or nervous system problems. In humans, Lyme produces many similar health complications. Experts say that Lyme is hard to properly diagnose because it mimics other diseases like Bell's palsy, chronic fatigue, fibromyalgia, Parkinson's, ALS, arthritis, Alzheimer's, and multiple sclerosis. These other, well-known diseases, give a clearer picture of just how bad Lyme disease can be, rather than simply listing off symptoms of the disease. Fortunately, Lyme disease can be cured if treated in the early stages, and it can be prevented by avoiding contact with ticks. That leads us to what we came here to look at today. If you have a dog or a cat, make sure they have veterinarian prescribed tick protection products, and check them regularly for ticks. It is also a good idea to establish a safe area in your yard where your pets are allowed to roam. Dogs and cats pick ticks up when they walk in grass and bushes. If you ever have a wildlife issue on your property, such as a skunk, raccoon, or rodent, make sure to have the issue dealt with quickly. These furry creatures can bring ticks into a home, or drop tick eggs in the yard. If you spend time in your yard, it is a good idea to have routine pest control that works to eliminate ticks. And be sure to keep the grass cut low. Not only will it make it a little harder for ticks to climb up, a well-kept lawn is resistant to passing wildlife, which brings ticks into your yard. When you go outside, whether in your yard or somewhere else, be aware that insect repellent works to repel ticks. Put some bug spray on your legs and feet to cause ticks to fall off. A repellent that has IR3536 is a great choice. Studies have shown it to be effective with ticks. But permethrin and DEET products work too. It is always better to have something than to have nothing. If you'll be walking in grass, be sure to wear tall boots or tuck your pant legs into your socks to keep ticks from climbing under and finding a place to latch on. Be aware that ticks don't fall from trees into your hair; they have to climb up. Wearing bright colors can help you see them when they do. Be sure to keep your shirt tucked in to make those ticks work for their meal. It takes 24-48 hours for ticks to spread Lyme disease. Catching them early can prevent this disease. Check yourself when you come in from outside. Look closely in your hair. Ticks want to find a place where they can stay attached for days. And be aware that deer ticks (the ticks that are most responsible for the spread of Lyme) can be extremely small. Deer ticks (also called blacklegged ticks) are so small that several can be found on a single bird. If you have bird feeders in your yard, be aware that you may be inviting ticks into your yard as well. When birds come to feed, tick eggs can fall off into your yard. Avoiding grassy places will help you avoid picking up ticks. Having an ongoing pest control plan for your Southern Maine home can affect the spread of Lyme disease in many ways. Get your protection in place today. 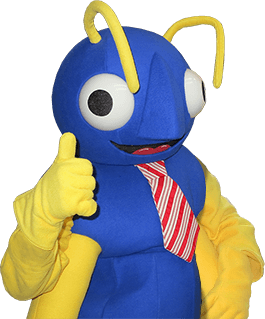 Connect with Big Blue Bug Solutions and find out what pest management options are available, or sign up for a residential pest plan that will address all of the pests that come onto Southern Maine property and get into Southern Maine homes. Help is just a few clicks away.